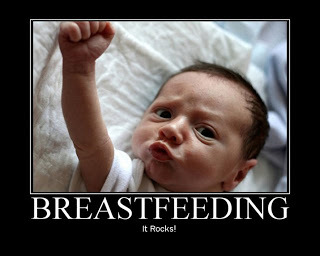 August is National Breastfeeding Month!! Which is very fitting because breastfeeding is once again gaining favor and popularity in new moms as the preferred method of feeding their newborn babies. Breastfeeding is a personal choice that all mothers make and this trend is very healthy because breastfeeding provides so many benefits to both the mother and her baby. Chicago Healers Practitioner Dr. Marilyn Mitchell, MD, provides us with some of the benefits to breastfeeding. Nutrients and Enzymes- Babies who are breastfeed take in nutrients and enzymes that are perfectly proportioned for a human infant. Bottled milk comes from cows or soy and lacks the perfect blend of nutrients that human milk provides for babies. 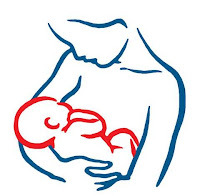 Supplemented Immune System - Breast milk also transmits antibodies from the mother to the baby, which are especially vital during the first few months of life when the babies immune system is immature and lacks the ability to produce its own antibodies. Healthier Life - Babies who brestfeed generally have fewer illnesses during the time they are breastfeed than those who are bottle-fed and develop fewer allergies in their lifetime. Breastfed babies also tend to have less colic, fewer restless episodes and better sleep patterns than bottle-fed infants. 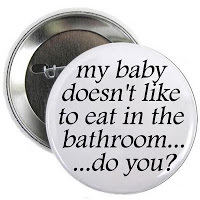 Helps Mom, Too - Breastfeeding increases metabolism, which helps with postpartum weight loss. It also helps with mother-child bonding due to the mutually pleasurable experience. Some Great Breastfeeding Posts by other bloggers you should check out and read!! Sometimes it isn't a choice. My son couldn't latch and got dehydrated. I wanted to breastfeed but couldn't :-(. I pumped for 6 weeks until I ran out. Susan I understand completely. I was not able to breastfeed Pumpkin very long either. That is amazing data. Much obliged for sharing.